BISHKEK -- Kyrgyz authorities recently blocked some attempts by extremists to recruit young Kyrgyz to go fight in Syria. Authorities have been battling radicalisation of Kyrgyz youth since the Syrian war broke out in 2011. Hundreds of Kyrgyz militants have gone to Syria and Iraq since then, the authorities estimate. In a recent anti-militancy success story, authorities June 4 detained two Kyrgyz citizens on the Tajik border: an 18-year-old Kyrgyz woman, identified only as Burulkan, and a 26-year-old man, identified only as M. K. Burulkan is a resident of Alai District, Osh Province. M. K.'s role was "to smuggle his companion into Isfara [in Tajikistan], from where she was supposed to cross mountain trails into Afghanistan and then keep going to Syria", Bakyt Seyitov, Kyrgyz Interior Ministry (MVD) spokesman, told Central Asia Online. Burulkan, once in custody, described how she had become radicalised, Seyitov said. Some time ago, she journeyed to Astana, Kazakhstan, to help her mother work as a retail vendor. Her mother became concerned when Burulkan began dating a Tajik in March and immediately sent her back to Kyrgyzstan. Burulkan stayed in touch with the Tajik on WhatsApp, she told investigators. He transferred money via M. K., who lives in Osh and is his friend, to Burulkan, so that she could obtain transportation to the Tajik border. M. K. refused to co-operate with police, the MVD said. He denied knowing anything about any plans to help Burulkan go to Syria. Authorities released Burulkan to her father, who promised to keep a close eye on her. Burulkan's story is not uncommon as militants in Syria seek to attract women whom they can exploit. Thirty Kyrgyz women are among the militants in Syria, Bakytbek Adylov, chairman of the Kyrgyz State Migration Service, said in a Bishkek speech June 9. 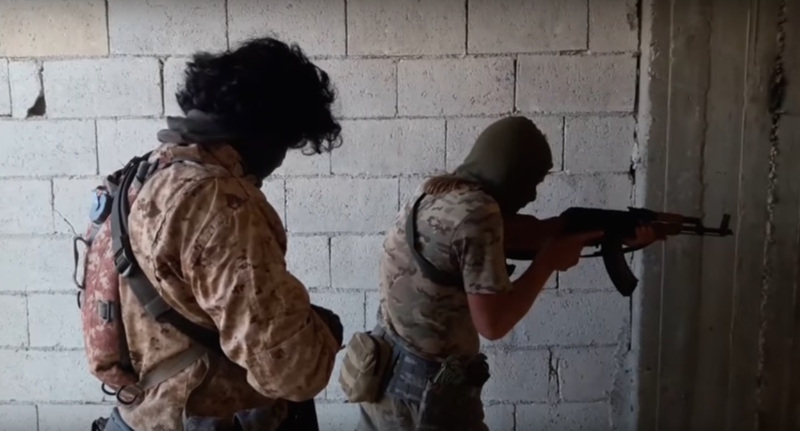 Those women include "so-called 'combat wives'" of the terrorists, Adylov said, adding that authorities have found a "persistent trend of [radicalised] Kyrgyz journeying to Syria and Iraq". Those radicalised Kyrgyz include women aged 18 to 25, he added. Terrorist recruiters primarily target youth, Erlan Bakiyev, a spokesman for the MVD 10th Department, which fights extremism, told Central Asia Online. The recruiters use the internet, social media and mobile apps, Bakiyev added. "We watch what goes on online, with the help of college students and interested parties," Bakiyev said. "Thanks to that help, in the past two months, we've taken 10 extremist and terrorist videos offline." Besides watching for online recruitment, Kyrgyz law enforcement is being pro-active, Bakiyev said. Police have created some decoy pro-extremist social media accounts to attract potential "jihadists", he said. Once they identify those at-risk individuals, they conduct outreach to prevent them from turning into militants. 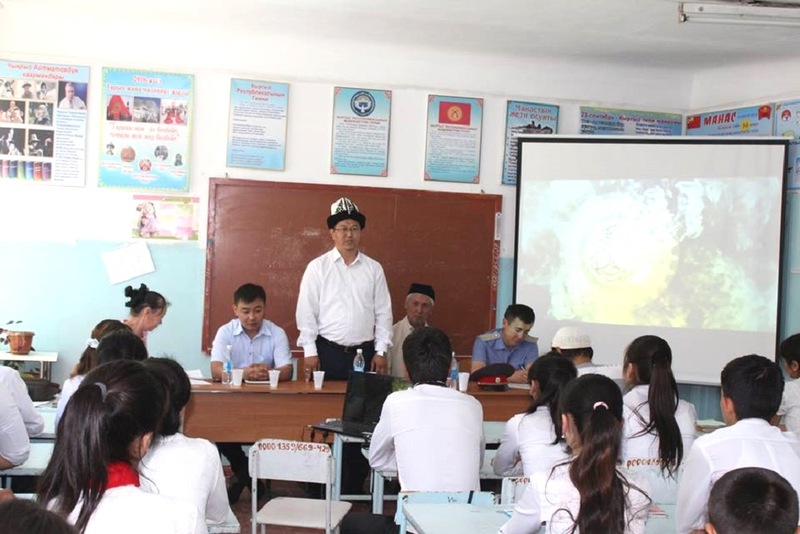 Regular law enforcement and preventive work among provincial youth is yielding positive results, Ulanbek Jalildinov, an officer with the State National Security Committee (GKNB), told Central Asia Online. "In a raid June 11 in Nooken District, Jalal-Abad Province, we found radical materials from a banned extremist movement in three houses," he said. "After a short conversation with their imam, one husband and wife decided to quit that organisation." An increasing number of Kyrgyz are abandoning prohibited extremist groups, Jalildinov said. In 2015 in Jalal-Abad Province, authorities knew of seven individuals who quit extremist groups. In the first five months of 2016, 12 Jalal-Abad Province residents did the same. "More and more people are realizing that the alleged 'jihad' is a lie," he said. "It is fitna [strife] and has nothing to do with Islam." "Devout believers have become more interested in dealing with this matter," he said. "If they find out ... that someone is planning to go to Syria, they try to explain to them the error of their ways." 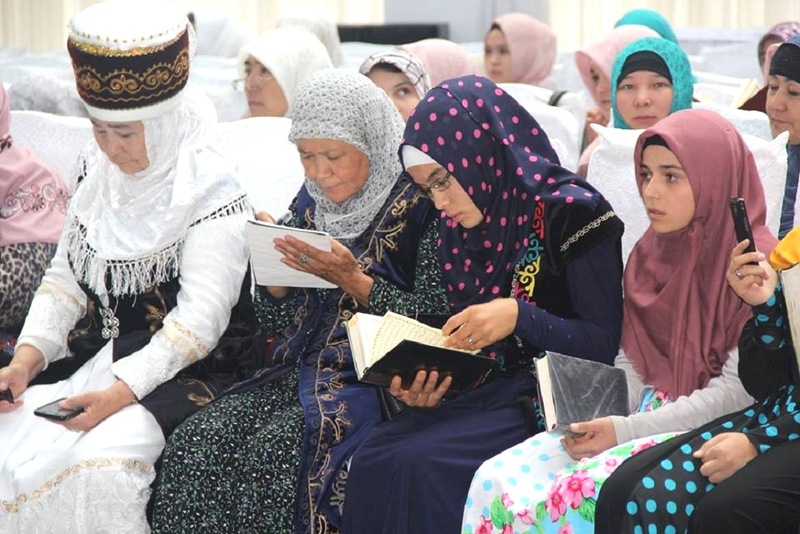 Proper upbringing of children is the best way to fight extremism, Osh Province Islamic judge (qazi) Samidin Atabayev told female Muslims in Aravan District, Osh Province, in a speech June 10. "Parents need to pay attention to their children's spiritual and emotional state, especially in their teen-aged years," Atabayev said in his speech. "Only then can we save the rising generation from radical ideas." Extremist recruiters target girls and young women with promises of a worthy marriage and a "heavenly life", he added. Why do our government officials watch nonchalantly as our youth are recruited by extremists and go to war in Syria? There are many Islamic movements in Kyrgyzstan, and nobody keeps an eye on them. The future of our children and grandchildren is in peril, and Kyrgyzstan turning into a battlefield, just like Afghanistan and Syria. The countries next to us have banned nontraditional Islam, and imposed strict control, which we do not do in Kyrgyzstan. Even if they want to leave, war-torn Syria has become a trap. The large number of residents from that province fighting in the Middle East is a source of alarm to officials and relatives alike.